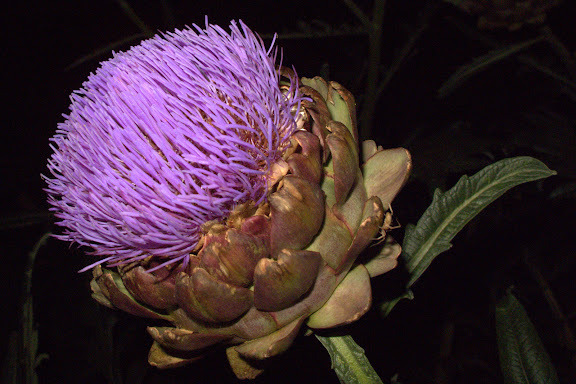 Until tonight I had never seen an artichoke flower. Thanks to Margaret who mentioned this one blooming at the Fred Hewett Center on Botetourt Gardens in the historic Ghent community of Norfolk, Virginia. Canon G10, 1/60 sec @ f/4.0, ISO 800, 15mm equivalent focal lingth in macro mode with the built-in flash at -1 stop flash exposure compensation.